In January 2019, the Investment Promotion Agency of the Sverdlovsk Region (Ural Investment Agency) was registered in Yekaterinburg. 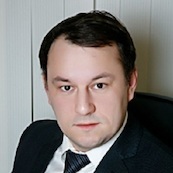 The new structure is headed by Deputy Regional Minister for Investment and Development Alexander Porodnov. The agency will serve as a “single window” for investors and ensure the participation of the Sverdlovsk region in external events: exhibitions, forums and congresses.